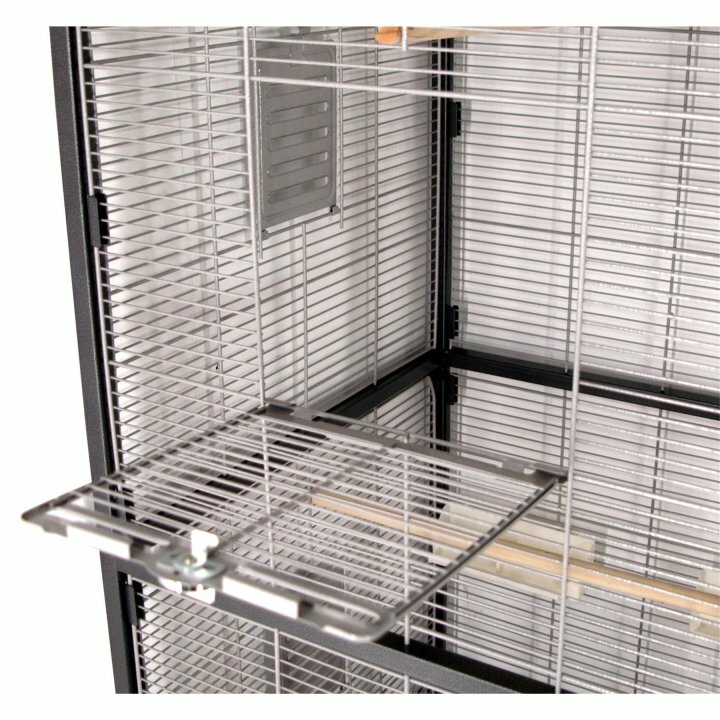 Beautiful and stable bird aviary with hammered paint in anthracite-light gray. 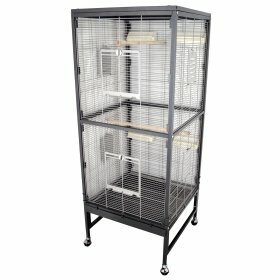 The noble bird aviary impresses with its massive construction and the beautiful hammered finish on the frame and roof, the grid elements are held in light gray. 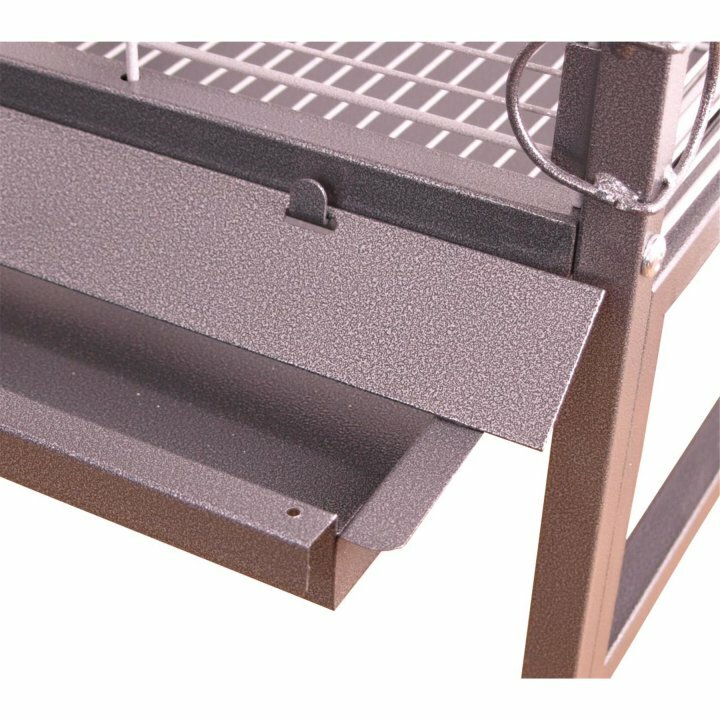 The bird aviary has a removable Kotgitter and thanks to the Kotschublade cleaning is very easy. 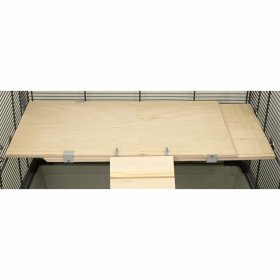 The 4 sturdy wheels allow you to move the aviary comfortably back and forth. Two doors in the front and four doors on the sides give good access to the aviary and many possibilities, e.g. 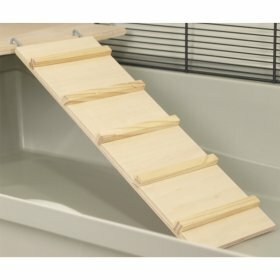 to install an optional bath house. 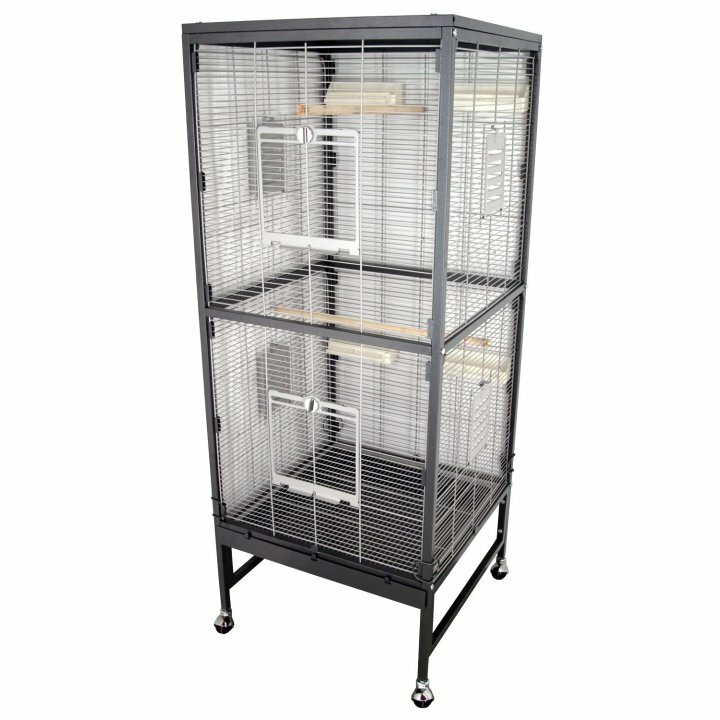 This aviary is versatile for various species of birds, e.g. 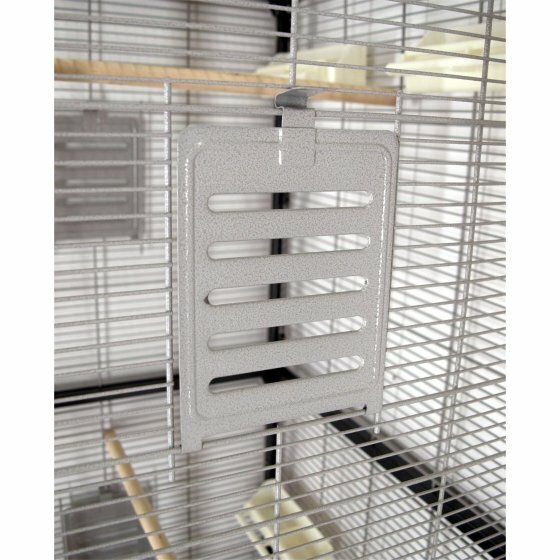 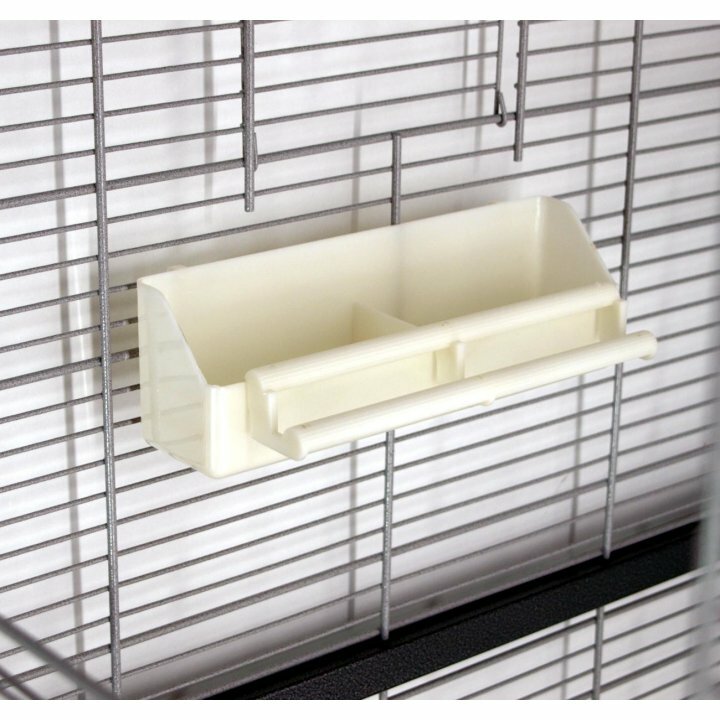 for canaries, budgerigars, zebra finches, agapornids (lovebirds) and other small to medium sized bird species. A beautiful perch made of natural wood.